Oceanview Publishing. A review of the book appears on the BookTrib.com website. 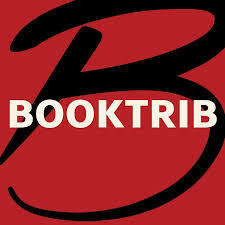 Here are extended responses by the author to some of BookTrib’s interview questions. BookTrib: How did the plot for The Guilt We Carry come together? informed and shaped the character. understanding of guilt and its relevance to the story. everything positive in your life. never acknowledge or admit to feelings of guilt. damnedest to not make the same mistakes again and again. helps other people along the way, makes her more likable and sympathetic, too. preferred the darker path for Alice. then danger, then death, and finally a chance for absolution. the book. How did you come to create him in this way? SWG: I wanted to create an antagonist that was not a stereotypical drug dealer. Someone that we haven’t necessarily seen before. Someone unpredictable. Someone that you would least likely suspect to deal narcotics. BookTrib: The plot is well crafted and the writing keeps the reader on edge. there is no turning back, plot point one, crisis point, etc.). money will help give her a fresh start. is forced to become a reluctant hero. inner fortitude to stay true to themselves and live the lives they were meant to lead.